Ferla Bikes Will Be Stocked Again in Just SEVEN Days! Ferla Fam! Just as soon as we’ve sold out, we’re now restocking our fleet of vending bikes, including Ferla 2, Ferla Ice Cream, and now our Ferla Grande as well. Plus, we will officially be releasing our Ferla Cold Brew with our restock! Ferla Cold Brew will officially be available for sale in November through our IndieGoGo campaign- feel free to subscribe to our mailing list for updates! Ferla 2 is our flagship coffee bike – equipped with a food grade sink, several storage units, and optional pedal assist feature. 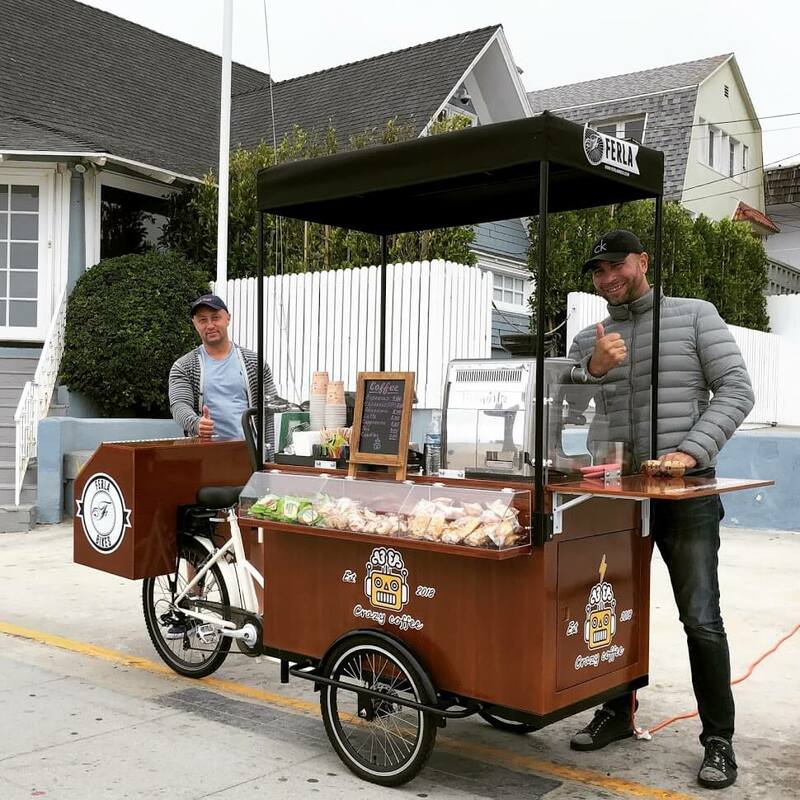 This vending cart is perfectly fit for you to serve coffee, pastries, tacos, hotdogs, and more. Request a quote for your Ferla 2 Food Bike today! Our Ferla Ice Cream Bike is equipped with a commercial grade freezer/redridgerator – switch from one to the other with the simple turn of a knob. Ferla Ice Cream is perfectly suited for those selling cold goods, whether ice cream, gelato, sandwiches, fruit, or more. 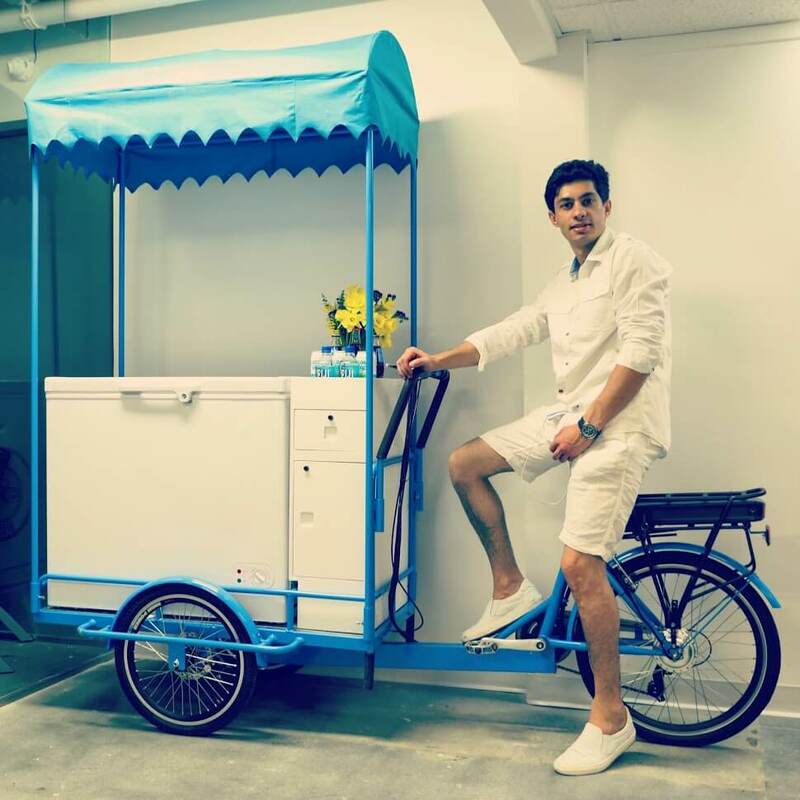 Our cooler-equipped vending bike is almost available – request a quote today! 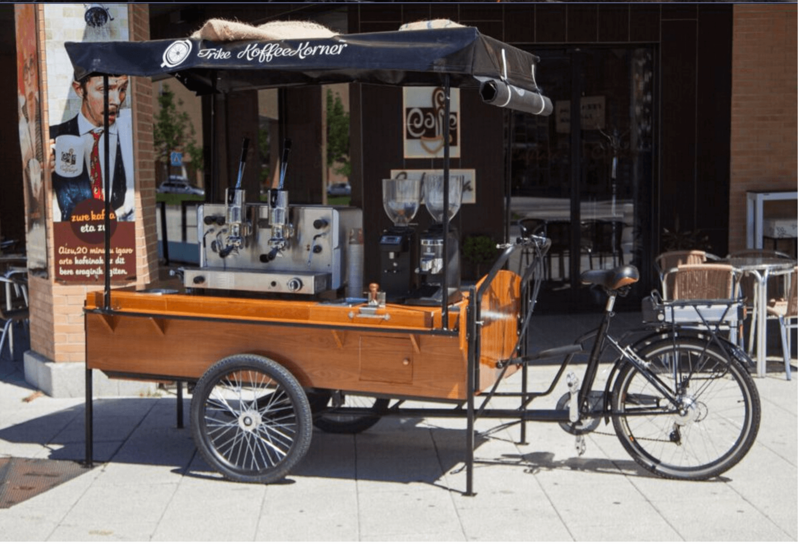 The Ferla Grande is our most versatile bike, suited for those planning to sell coffee, hot dogs, burgers, cotton candy, or even those who plan to sell and display clothing, jewelry, books, or art, just to name a few. Reach out for a quote on Ferla Grande – a limited amount of Ferla Grande vending bikes will be available for this round of restocking! 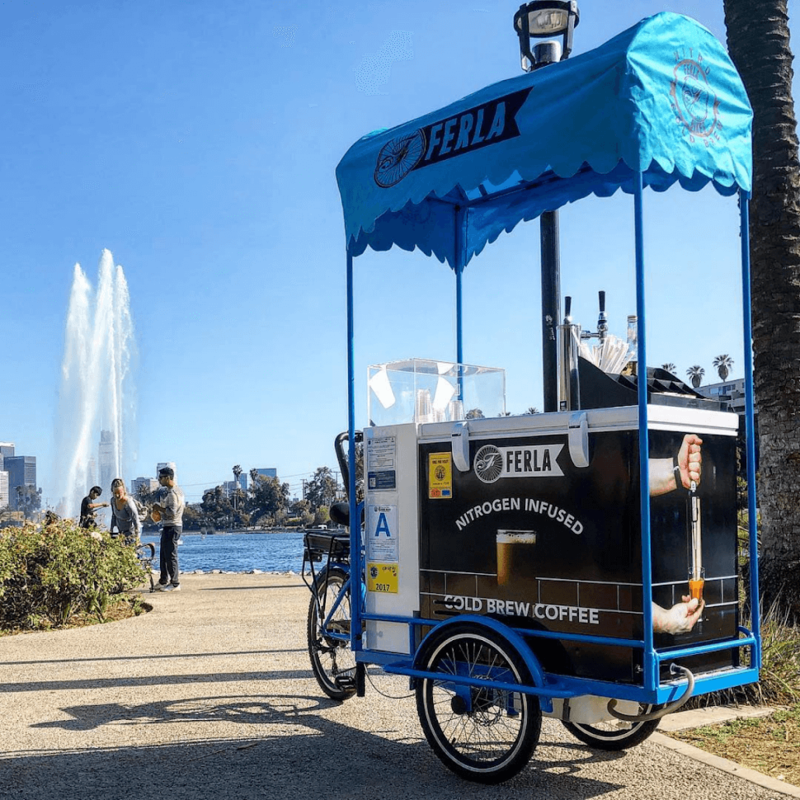 Ferla Cold Brew is the world’s first kegerator-equipped vending bike – a perfect solution for those looking to sell cold brew coffee, lemonade, kombucha, beer, soft drinks, and much more! Our Cold Brew is not officially available yet, but reach out to us and our sales team will be happy to assist you!